Hello – Earlier this evening on Thursday, March 14, MCM celebrated the anticipated opening of their Global Flagship location on Rodeo Drive in Beverly Hills, CA with an exclusive red carpet VIP reception. Attendees included LL Cool J (Musician), Chloe X Halle (Musicians), Billie Eilish (Musician),Paris Hilton and Nicky Hilton Rothschild, Estelle (Musician), Bella Thorne (Actress, Famous in Love), Quincy Brown (Musician), Dani Song (Influencer), Don Benjamin (Model),EJ Johnson (TV Personality), Cordell Broadus (Model/MCM Ambassador), Hayley Law(Actress, Riverdale), Gigi Gorgeous (Influencer), Ross Butler (Actor, 13 Reasons Why), Anne Winters (Actress, 13 Reasons Why), Jake T. Austin (Actor, The Emoji Movie), Bella Harris(Model), Erika Jayne (TV Personality, The Real Housewives of Beverly Hills), Brandon Michael Hall (Actor, God Friended Me), Landry Shamet (Athlete, LA Clippers), Rolf Feltscher (Athlete, LA Galaxy), Marcedes Lewis (Athlete, Green Bay Packers), Shaun Ross(Model), Mally Mal (Musician), Super Duper Kyle (Musician), Terrence J (Actor, Hit The Floor), Young Paris (Musician) and many more. Upon entering the Flagship, guests were welcomed by Pepper, a MCM-branded interactive robot capable of greeting guests with a fist-bump and answering questions about the brand and event, which featured futuristic art installations and activations including an embossing station for MCM custom branded leather goods. Additionally, attendees enjoyed signature cocktails, bites from a custom menu curated by Chefs Jon Shook and Vinny Dotolo, and beats by DJ Trauma. If you have any questions, or would like additional information/photos, please don’t hesitate to reach out. Many thanks for considering coverage of this event! 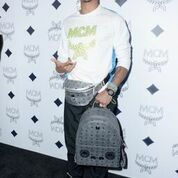 MCM is a luxury lifestyle goods and accessories brand founded in 1976 with an attitude defined by the cultural Zeitgeist and its German heritage with a focus on functional innovation, including the use of cutting edge techniques. Today, through its association with music, art, travel and technology, MCM embodies the bold, rebellious and aspirational. Always with an eye on the disruptive, the driving force behind MCM centers on revolutionizing classic design with futuristic materials. Appealing to the 21st Century Global Nomad generation – dreamers, creatives and digital natives – MCM’s millennial and Gen Z audience is genderless, ageless, empowered and unconstrained by rules and boundaries. MCM is currently distributed in 650 stores in 40 countries including Munich, Berlin, Zurich, London, Paris, New York, Hong Kong, Shanghai, Beijing, Seoul, Tokyo, Middle East and other countries. For further information about MCM: www.mcmworldwide.com. On February 23rd, hundreds of women in the Los Angeles area will wait patiently for the opportunity to strut their stuff and complete in Ashley Stewart, the leading lifestyle and social commerce brand empowering women globally, ‘Finding Ashley Stewart 2019,’ a national search for the brand’s next ambassador. The event will be held at the Ashley Stewart store in Inglewood, and will be the first stop that the tour will make across the country before its grand finale event in New York City on September 14th. The event will include an audition process, in-store Sip & Shop, fashion show and more. Two regional winners will be selected at the end of the LA event and entered for a chance to be flown to New York City for the contest’s Finale where they will compete for the grand prize and title of Ashley Stewart 2019. The award will ultimately be given to a woman who distinctively embodies and exudes the confidence, strength and fierceness that has become synonymous with the Ashley Stewart name. In addition to the coveted title, the winner will also receive $10,000, a new Ashley Stewart wardrobe, and features in AshleyTV segments and photoshoots for a year. 2PM-5PM – Finding Ashley Stewart 2019 Round One: Hundreds of registered women will line up for the fashion show casting. Ultimately, two finalists will be selected from the fashion show participants for the chance to compete in the NYC finale event. LAS VEGAS (December 29, 2018) – The biggest names in entertainment feasted at Best Friend, Roy Choi’s first Las Vegas restaurant, on Friday, Dec. 28 during Park MGM’s official grand opening. Choi prepared his signature flavors for guests, which included pop superstar Katy Perry, DJ singer-songwriter Samantha Ronson, rapper and actor YG, actress Regina King, Academy Award-winner Marisa Tomei, and actor Jesse Tyler Ferguson, dining at Best Friend before-and-after the Lady Gaga Enigma show debut at Park Theater. Perry was seated in the heart of the main dining room with friends and experienced several unique dishes Choi has created to celebrate the various cultures of his LA neighborhood. Highlights from Perry’s meal included the sizzling Spicy Pork marinated in a sweet and spicy kochujang sauce, the Tamarind Cod Hot Pot – a large-format Korean stew with vermicelli noodles, and the tantalizingly crispy and creamy Slippery Shrimp. Following the official afterparty at Park MGM’s modern speakeasy and club concept – On The Record – Tomei, King, and YG visited Best Friend for late-night meals to cap off an electric evening. Park MGM and NoMad Las Vegas are the newest luxury destinations on the Las Vegas Strip, offering an intimate resort experience on a grand scale. A partnership between MGM Resorts International and New York-based Sydell Group, Park MGM features 2,700 guest rooms and suites; and the Las Vegas extension of Sydell’s NoMad features 293 well-appointed guest rooms and suites. The resort’s remarkable culinary program features NoMad Restaurant and NoMad Bar from Will Guidara and Daniel Humm; L.A. legend Roy Choi’s Korean BBQ concept, Best Friend; Hogsalt Hospitality’s renowned Bavette’s Steakhouse; and the 40,000-square-foot vibrant Italian marketplace, Eataly, among other dining and cocktail experiences. Park Theater, the resort’s entertainment destination, is a 5,200-seat venue home to special engagements by Lady Gaga, Bruno Mars, Britney Spears and other top entertainers. Park MGM is also home to the unique nightlife concept from LA-based Houston Hospitality, On The Record. Park MGM and NoMad Las Vegas are located in the heart of The Strip, next to the entertainment and dining neighborhood created by The Park and the 20,000-seat T-Mobile Arena. Park MGM is owned by MGM Resorts International (NYSE: MGM). For more information and reservations, visit ParkMGM.com, call toll-free at 888-529-4828 or follow on Facebook or Twitter. Family Rosary is asking students to submit entries for the 2019 “Try Prayer! It Works!” Contest. This national competition encourages children to participate in an inspiring faith experience by expressing their beliefs through art, poetry, prose and a new category this year: video. The competition is open to students in Grades K-12 enrolled in Catholic schools, religious education programs, parishes and other organizations, including home schooling. The attached press release includes details of this announcement. Please include in any upcoming coverage of Family News. For more information or to arrange an interview, please contact Susan Wallace of Holy Cross Family Ministries at 508-238-4095, ext. 2050, or swallace@hcfm.org. Thanks! EASTON, Mass. – The call for entries has gone out! It’s time to start coloring, writing, rhyming and videotaping for the “Try Prayer! It Works!” Contest. Deadline for the national competition is Feb. 20, 2019. Sponsored by Family Rosary, the 2019 “Try Prayer! It Works!” Contest encourages children to participate in an inspiring faith experience by expressing their beliefs through art, poetry, prose and a new category this year: video. The competition is open to students in Grades K-12 enrolled in a Catholic school, religious education program, parish or other organization, including home school. This year’s theme “Mary, Mother of the Church” helps families explore how Mary is the Mother of Jesus and Mother to us all. Our Blessed Mother’s important role in the Church flows from her deep connection with her Son and from Him to us. The “Try Prayer! It Works!” Contest focuses on family faith enrichment in the home. The goal is to bring the Church’s teachings to life around the dinner table with discussion prompts, reflection question, prayer ideas and creativity. The first place winner in each category receives $100 while the sponsor of each winner also receives $100. The “Try Prayer! It Works!” Contest asks entrants to creatively depict their faith through art, poetry, prose and video. Students in grades K-12 enrolled in a Catholic school, religious education program, parish, home school or other organization are eligible to participate. For details or to download an application, go to www.FamilyRosary.org/TryPrayer. All entries are due by Feb. 20, 2019. Questions? Call Family Rosary at 800-299-PRAY (7729). Family Rosary was founded in 1942 by Venerable Patrick Peyton, also known as the “Rosary Priest,” to help families pray together. Father Peyton, and the ministry, are known by two powerful and memorable sayings: “The Family That Prays Together Stays Together” and “A World at Prayer is a World at Peace.” Father Peyton was one of the most influential American Catholic priests of the 20th century, using the entertainment industry to further his mission of family Rosary prayer in honor of Mary and her son Jesus. In the spirit of its founder Venerable Patrick Peyton, Holy Cross Family Ministries is a family of Catholic ministries that inspires, promotes and fosters the prayer life and spiritual well-being of families throughout the world. Family Rosary, a member ministry, helps families pray, especially the Rosary. For more information, call 800-299-PRAY (7729) or visit www.FamilyRosary.org. Clean the condenser coils. They’re usually located on the bottom, back, or top of the refrigerator. Unplug the fridge, then use a coil brush to remove dust and dirt. . Now we move to the inside of the refrigerator /freezer and toss out anything that has expired. Place dirty food containers into the sink to soak. Now we are making room for the Thanksgiving Leftovers. Working from top to bottom, wipe down the shelves with a paper towel spritzed with Mean Green Super Strength cleanser. You will want to use undiluted vinegar or a mild soap to clean the ice dispenser. To clean the stove top, Again we are using Mean Green Super Strength Cleanser , let that sit for a few minutes. Then wipe the stovetop with a clean, dry cloth and, again, just let crumbs fall to the floor. It’s more productive to get them once your done. When you’re finished, get a clean cloth to keep grease from transferring elsewhere Spray with Mean Green Super Strength Cleaner & Degreaser let sit for 3 minutes. Then wipe down. When three minutes have passed-Wipe the solution from the inside using a dry cloth. Spray the microwave interior with Mean Green Cleanser and let sit for three minutes. With a damp, soapy cloth, wipe down the exterior For hard to remove foods, heat one cup of water on full power for three minutes. The heat and steam help to soften the food. Let it stand for five minutes then wipe it clean. Use a soapy sponge pad for stainless steel microwave interiors. Clean the upper cabinets and walls, Spray the microwave interior with all-purpose cleaner and I recommend what has become a staple in my home. Mean Green Super Strength Cleaner. clean the sides of the dishwasher door, stovetop, and counter tops and I recommend using Mean Green Super strength Cleaner & degreaser. to clean the lowercabinets and drawers with a damp, soapy cloth. Drain the sink and rinse with hot water. Empty the trash,swiping the inside of the can and the interior of the top with a cleaning wipe before replacing the bag.Sweep the floor and don’t forget to Spray the shower head and walls with Mean Green Mildew Destroyer. Last but not least enjoy the moment…. You Slayed that Thanksgiving Meal. They ate they enjoyed, and your house is Clean. 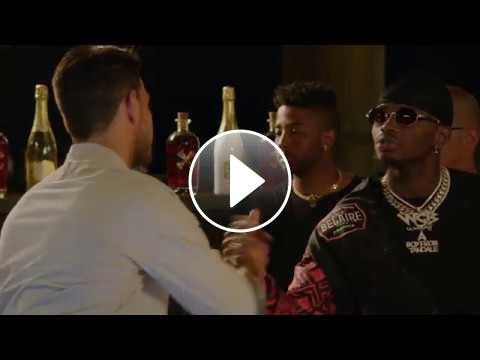 Watch Diamond Platnumz Flair Bartend! 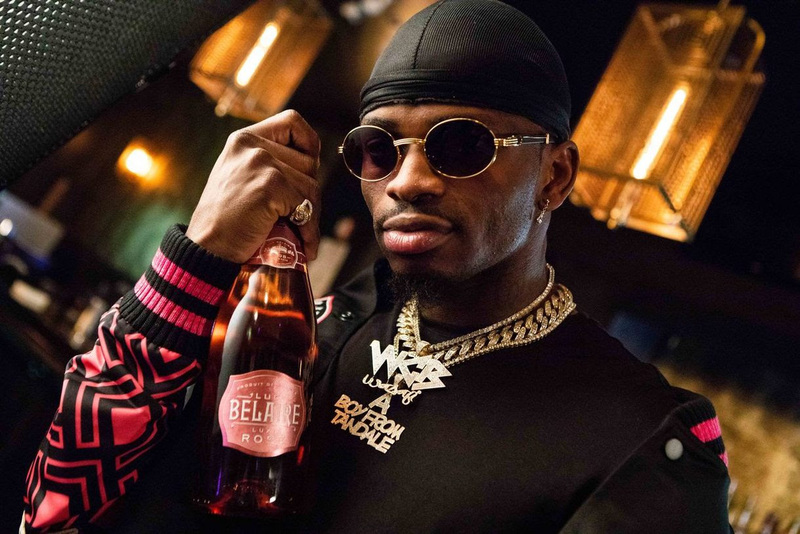 FOR IMMEDIATE RELEASE Burgundy, France (October 2, 2018) – Smash-hit wine brand Luc Belaire has released a new video starring music sensation Diamond Platnumz, who has also offered fans a Belaire cocktail recipe of his own making. 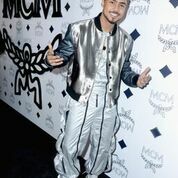 The video follows Diamond as he enters a club, greeting the barman before proceeding to take the bartending into his own hands. Diamond juggles bottles of Belaire Rosé and Belaire Luxe, throwing a Luxe bottle so high into the air that he has time to dance, flirt and check his Rolex while waiting for the bottle to reappear! He pours glasses for the gathering crowd and joins the dance floor. Diamond wears a Belaire cap and limited edition varsity jacket, which he co-designed with Belaire, updating the brand’s signature design to include African inspired patterned sleeves, embroidery and patches. The unique video is a creative collaboration between Diamond and Belaire, fusing the artist’s love of cocktails with his natural flair for performance. And whilst the tricks themselves may be aided by a professional, Diamond is keen to use some of the moves he learned on-set at his next night out! The hitmaker has also created a special cocktail recipe for use with either of his favourite Belaire bottles, Belaire Luxe and Belaire Luxe Rosé. – Pour the lychee juice and the agave syrup into a cocktail shaker with a few ice cubes. – Add 2 drops of rose water and 2 teaspoons of freshly squeezed lemon juice. – Shake vigorously and taste (Diamond’s tip: you may need to add a few more drops of rose water but don’t overdo it). – Strain into 2 coup glasses, top up with Belaire Luxe or Belaire Luxe Rosé and use a long spoon to gently mix. – Garnish with rose petals and lychee slices. Diamond’s latest collaboration with Belaire follows an in-depth interview for the brand’s Self Made Tastes Better campaign, which saw him share his journey to becoming East Africa’s biggest star and a global music sensation. He has since worked with hip hop mogul and Belaire supporter Rick Ross on the tune “Waka,” which trended on Youtube, and became a summer anthem. For more information fans are encouraged to visit LucBelaire.com and join the conversation by following @OfficialBelaire and tagging #Belaire on Instagram, Facebook and Twitter. Luc Belaire is a premium brand produced in France – the hallmark of quality in the world of fine wines. Our 5th and 6th generation father-and-son winemakers oversee production of each bottle of Belaire at their maison in Montagny-les-Beaune, established in 1898. The line includes Belaire Gold, made in Burgundy from a blend of Chardonnay and Pinot Noir along with a cane sugar dosage, alongside Belaire’s top-selling cuvée Belaire Rosé, a unique sparkling Rosé wine from the south of France crafted from a blend of Grenache, Cinsault and Syrah grapes – the three favorite Rosé grapes of the region – and Belaire Luxe, an elegant ‘blanc de blancs’ made exclusively from Chardonnay with a special dosage made from prized Chablis grapes in Burgundy. The newest addition to the range is Belaire Luxe Rosé, made at Belaire’s estate in Provence from a classic blend of rosé varietals and a unique addition of oak-aged Syrah. Finally, Belaire’s Fantôme (French for phantom) range houses each of its cuvées in a luminescent bottle which lights up at the touch of the button. Sovereign Brands is a family-owned, international wine & spirits company headquartered in New York. The company is owned and operated by the Berish family and partners with first-class producers from the world’s most iconic wine and spirit regions to develop superior brands. Sovereign has a portfolio of successful brands including Luc Belaire, a smash-hit line of French sparkling wines, which has earned global acclaim for its exquisite taste and striking packages, and is available in more than 100 countries around the world. The company’s portfolio also includes Bumbu, a craft rum brand from Barbados that ranks among the world’s most critically acclaimed rums, Cloud Chaser, a classic French Côtes de Provence Rosé, and Skeleton Vineyards, a range of accessible wines from Argentina and Austria. I recommend the Mean Green Super Strength Cleaner & Degreaser, to remove grease from kitchen Looking for something different to clean the kitchen . Mean Degreaser Super Strength Cleaner & Degreaser is a sure way to get rid of dirty and disgusting surfaces to leave your kitchen fresh and clean . This products will cut all grease and make surfaces in the kitchen sparkling clean. Mean Green has several specialty cleaners for counter tops, cabinets, wood and granite. There are some grease removers in the market that can only work on one or two surfaces at most. Mean Degreaser Super Strength Cleaner & Degreaser is a sure way to ensures that every surface in your home is left clean, the oven hood, shelves, glass surfaces and the burners. Mean Degreaser Super Strength Cleaner & Degreaser can also be used to degrease surfaces such as barbecue grills, boilers, stainless steel surfaces, and oven doors. Use Mean Degreaser Super Strength Cleaner & Degreaser to eliminate grease and other sticky substances from your kitchen surfaces.